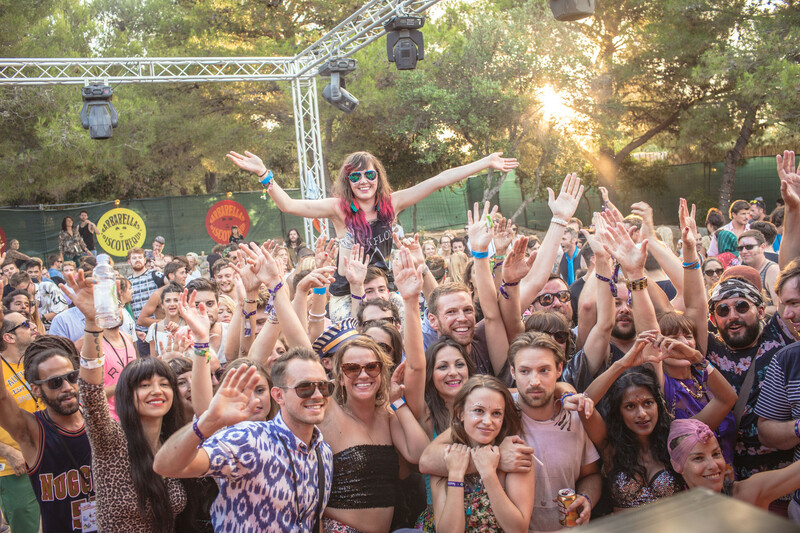 Croatia’s The Garden Festival is racing toward its tenth anniversary and final ever event this summer. Set on the beautiful Adriatic coastline, the adventure has not only been the inspiration for the now thriving electronic music scene in the region, but also for retaining much of its heart and soul as it approaches a decade in the country. 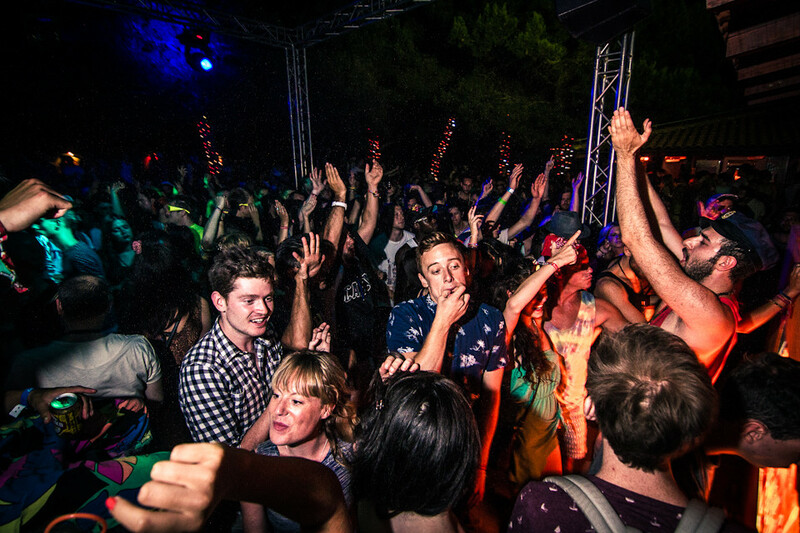 When the team behind The Garden Festival first came to Tisno in search of their new site back in 2012, the club they came across was a fully open-air venue with Funktion One sound, with some areas like a garden, surrounded by pine trees through which the sun ray’s would break each morning. They knew straight away this was the new Barbarella’s. Since moving down the coast, the club has apparently taken on a life of its own, hosting some top parties from midnight, under a canopy of stars slowly fading until dawn. For the 10th anniversary the final eight parties were recently revealed. 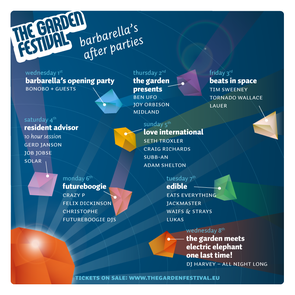 The Barbarella’s Opening Party, The Garden Presents, Beats In Space, Love International, Futureboogie, Edible and finally the very last show sees The Garden Festival handing over to Electric Elephant. 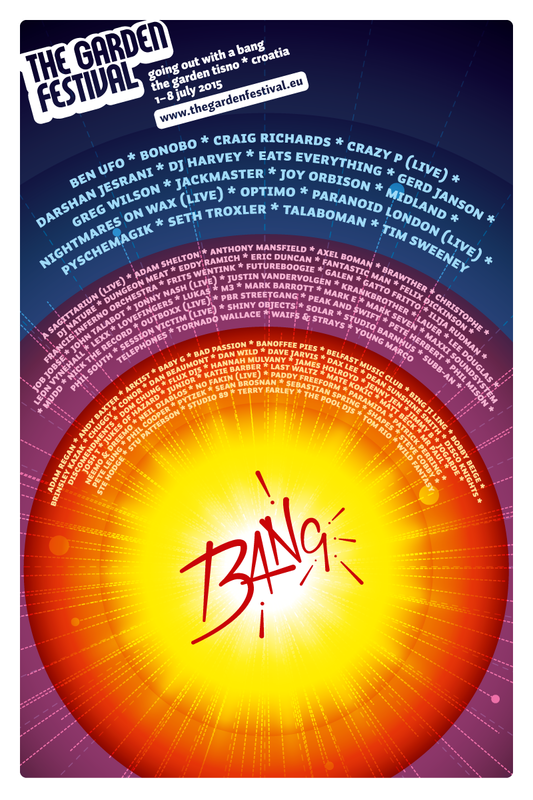 And, Resident Advisor will host a tenth anniversary 10-hour set on Saturday 4 July. 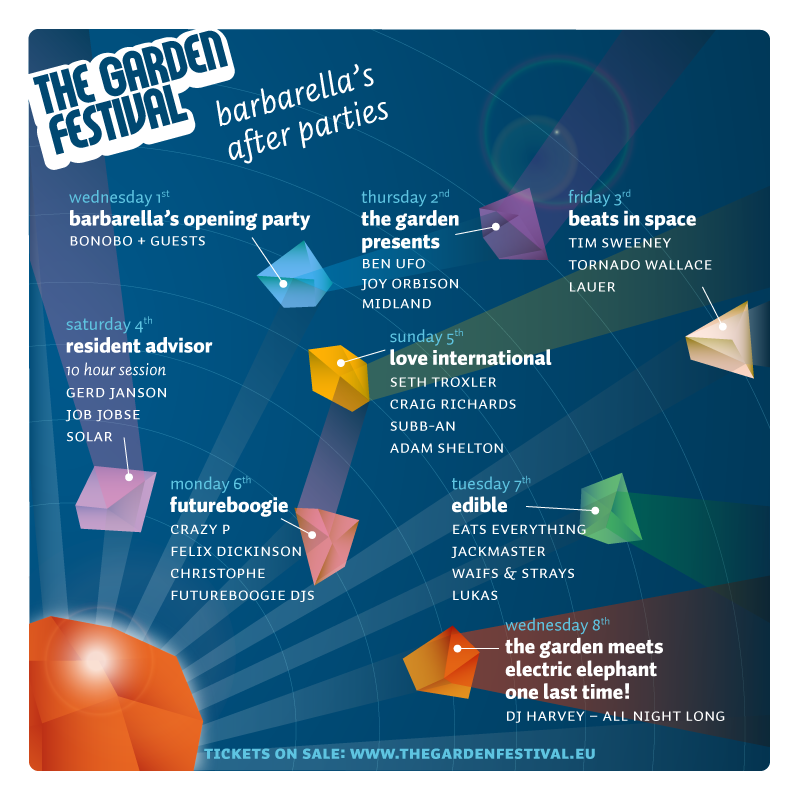 Check www.thegardenfestival.eu for more details on the parties.